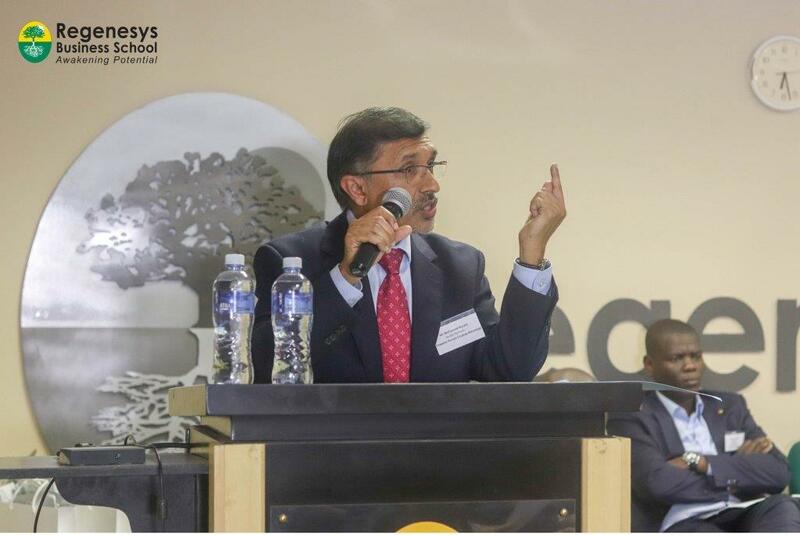 On 10 October 2018, the Regenesys Business School convened a round table discussion to discuss the expropriation of land without compensation and its impact on the economy. A panel of eight speakers led the discussion. Mohamed Husain was one of the panellists, and as the evening turned out; he was the only panellist who was not from a political party or interest group. 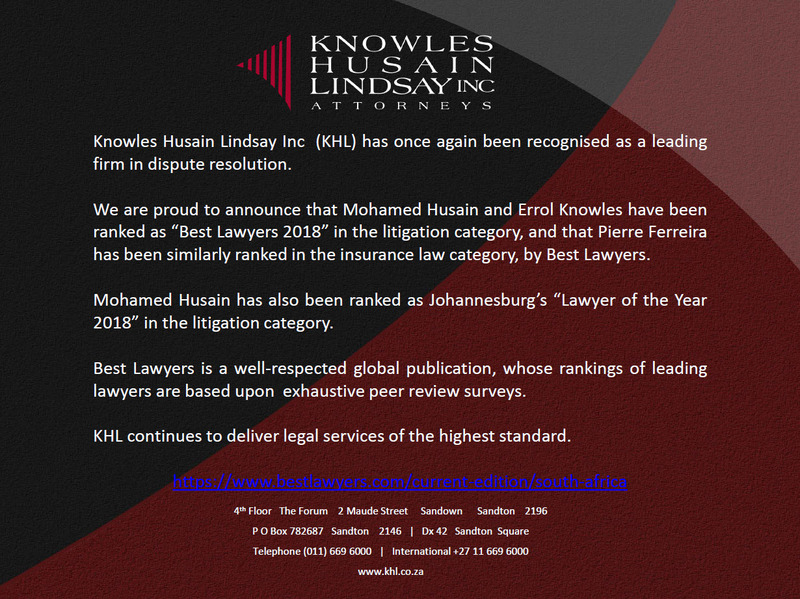 Mohamed had been invited as a legal expert to contribute insights on the legal position pertaining to expropriation of land with or without compensation. In his presentation Mohamed gave a clear and careful exposition of section 25 of the Constitution; which in contemporary discourse has been the subject of much debate on whether it permits land expropriation without compensation; whether it should be amended in certain respects; or whether it adequately protects competing rights. His main submission was that the Constitution need not be amended as it adequately provides for expropriation with or without compensation. He pointed out that the construction of the Constitution permits a scenario where compensation is actually nominal to nil. 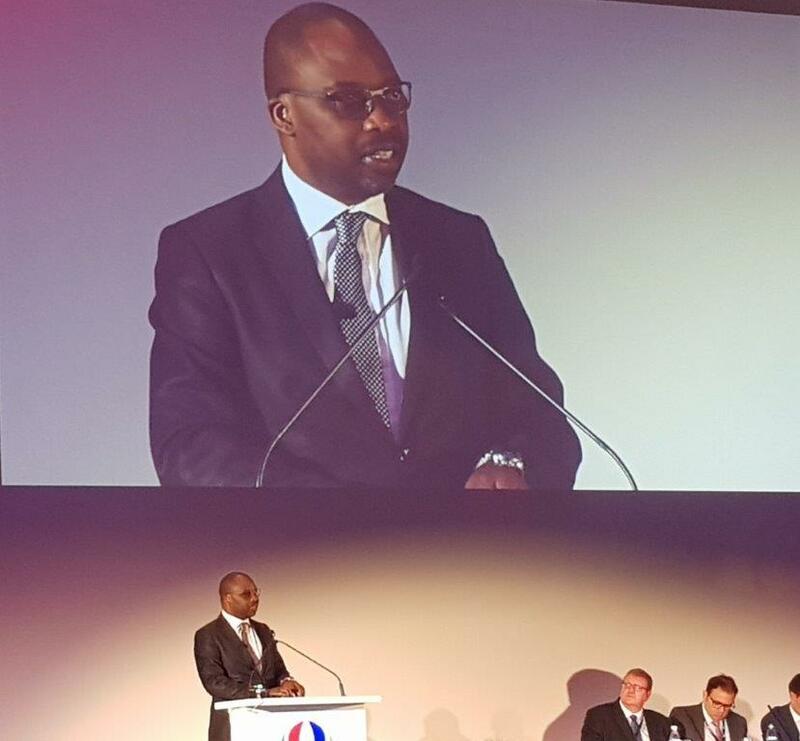 He also submitted that the State has not done enough with its existing powers to achieve adequate land reform. He did however, caution against careless expropriations that have no regard for the economy as he warned that this would lead to inevitable downgrades of the economy. His presentation laid the foundation for the speakers from the various political parties and interest groups. The land question has proven to be an extremely emotive one which leaves South Africa a sharply divided nation. This was evident in the submissions that followed. Democratic Alliance (DA) Shadow Deputy Minister of Rural Development and Land Reform Ken Robertson called on government to release land in its hand, revise its national budget and stamp out corruption to help fast-track land reform. Deputy CEO of Afri-Forum Ernest Roets supports land reform; he however insists that expropriation without compensation is not the solution. Youth League President of the Congress of the People (COPE) took a view substantially similar to Afri-Forum and the DA. African National Congress (ANC) NEC member Ronald Lamola, vowed that the ANC will introduce the Expropriation Bill in Parliament in the next few months to fast-track the expropriation of land without compensation, and confirmed the ruling party’s view that expropriation without compensation is seen as a valuable tool in achieving land reform. Deputy President of the Black First – Land First Zanele Lwana was relentless in her call for a direct reversal of the violent land dispossessions. Louis Meintjies, the president of the Transvaal Agricultural Union (TAU), sought to dispel the narrative that Black people were displaced. His argument was that a holistic view of the nation’s history reveals that land dispossessions occurred to people of all races and cultures and further that not all White ownership of land arose through violent means but rather by treaties and agreements with indigenous peoples. Motsepe Matlala, the President of the National Union of Farmers South Africa, argued that land reform is an urgent national demand that can only be relieved by amending the Constitution so as to avail resources and means of production to the Black majority. The discussion was opened up to the floor for questions and comments before being closed. It provided all in attendance an opportunity to debate differing views on the land question as well as an opportunity to network over some choice refreshments. 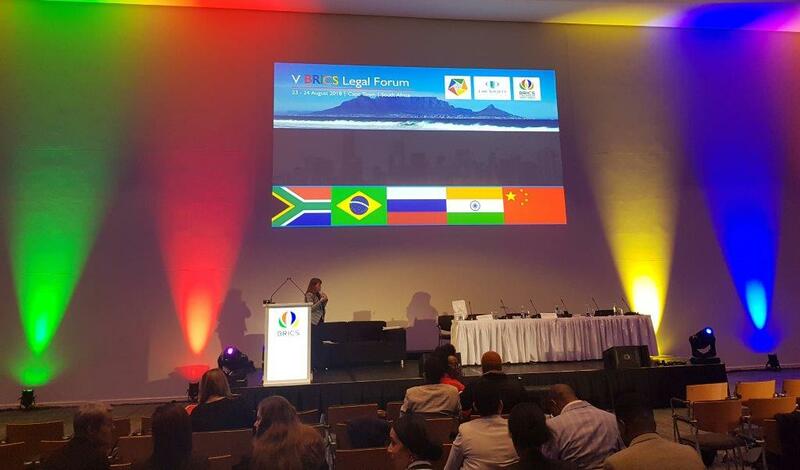 Following the BRICS Heads of State summit in Johannesburg earlier this year, the fifth BRICS Legal Forum was held in Cape Town at the end of August 2018. Other interested parties since as development banks, chambers of commerce and academics. 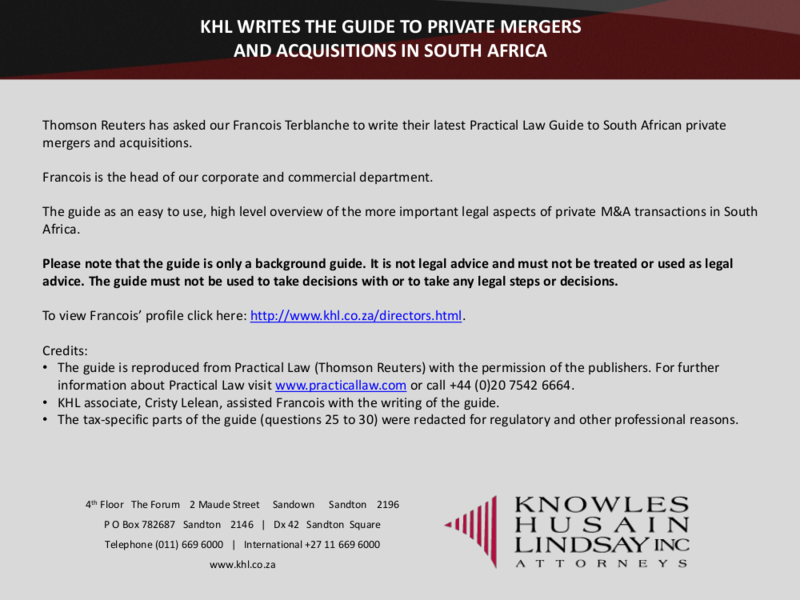 KHL was represented at the Forum by Francois Terblanche (director – corporate and commercial) and Kai-Lie Chen (consultant – Chinese legal affairs). The Forum’s main focus was on the development and improvement of multilateral legal structures between the BRICS countries in order to facilitate more and easier trade between the BRICS countries. The Forum identified multilateral arbitration structures as the preferred dispute resolution mechanism to deal with intra-BRICS trade related disputes. Both China and India have already established highly functional arbitration centres in this regard. The expectation is that South Africa should do similarly soon. Delegates also overwhelmingly supported future intra-BRICS co-operation on anti-corruption measures. An interesting initiative that was proposed at the Forum is the creation of a standardised, uniform agreement for use by parties in different BRICS countries when they contract with one another in sale of goods or provision of services transactions. The representatives of the legal professions of the BRICS member states adopted various declarations on BRICS related socio-economic activities, trade and dispute resolution at the Forum. Multilateral commercial and investment dispute resolution mechanisms and institutions must be created to cater for the needs of the BRICS countries, emerging markets and developing economies. Capacity and expertise in commercial dispute resolution must be developed in the BRICS countries, emerging markets and developing economies. Annual legal talent development programmes must be conducted for young lawyers in the BRICS countries. The exchange of law students and legal experts between the BRICS member states must be promoted. The taking of appropriate measures against corruption related crimes (such as corruption, tax evasion, money laundering and drug trafficking) must be supported. The 2019 BRICS Legal Forum will be held in Brazil. Technical committees were tasked at the 2018 Forum with giving effect to the declarations that were adopted at that Forum. These committees will report back on their progress periodically before the 2019 Brazil forum, and then in greater detail at that forum. It will be interesting to follow the committees’ progress. If they successfully implement the declarations that were adopted at the 2018 Forum, trade between parties in the BRICS countries will no doubt increase and resulting trade related disputes will be resolved much more time and cost effectively than is currently the case. In January 2018 KHL hosted a very successful practical skills transfer programme for some of the legal secretary students from UniCollege. 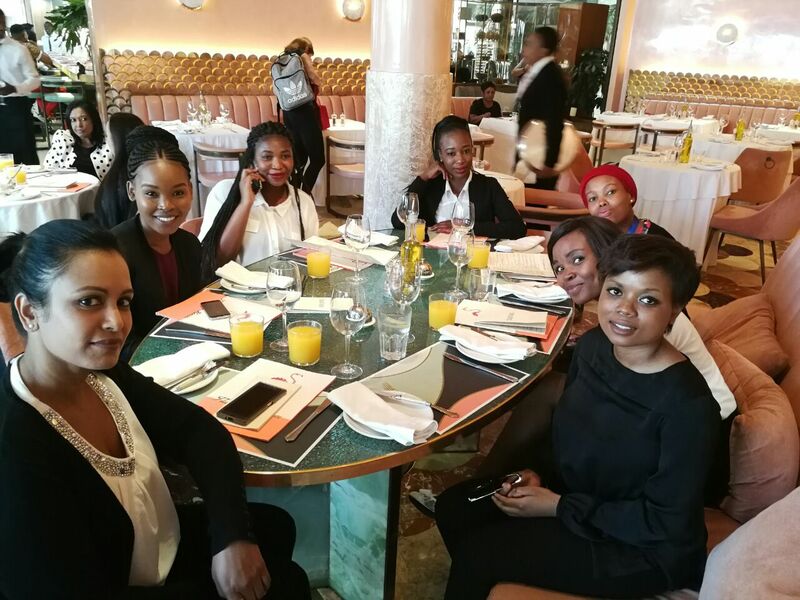 Our “new” (2018 intake) candidate attorneys also participated in the programme. The programme focused on skills that the students and candidate attorneys will find useful in the real workplace. It also gave the students an opportunity to experience working life in an actual law firm. From KHL’s side we were grateful for the opportunity to play a small part in the development of this highly enthusiastic group of committed young people. In 2013 the government of the People’s Republic of China, together with the governments of various other Asian and European countries, launched the “Belt and Road Initiative”. The initiative is an inclusive economic growth and infrastructural initiative encompassing large parts of Asia and Europe and parts of Africa. The success of the Belt and Road Initiative depends, in part, on competent, high quality legal services support being available for its implementation. 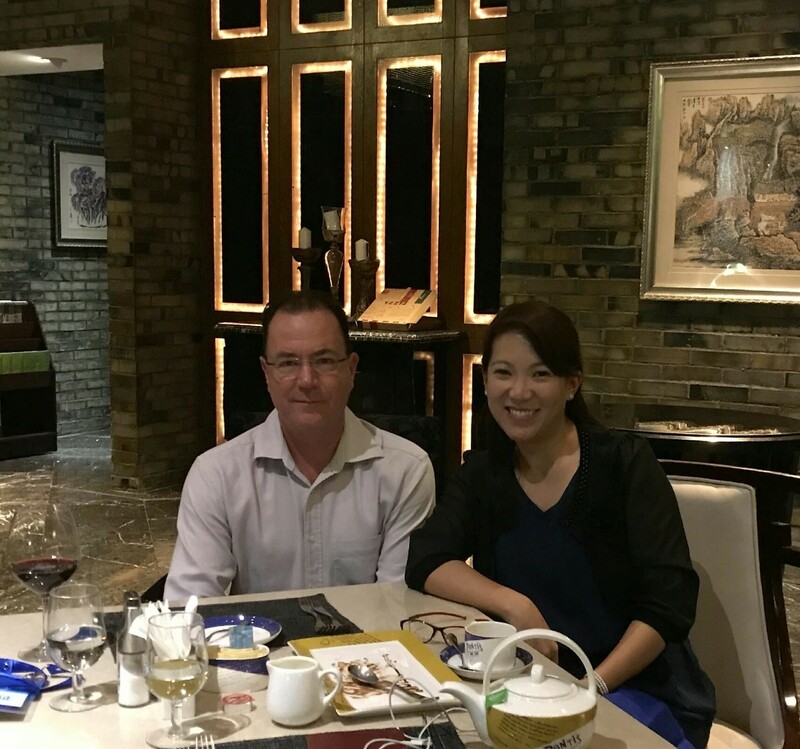 To facilitate this, Grandall Law Firm (one of the largest law firms in China) and a small number of other founding member law firms (such as Charltons from Hong Kong) have, with the support of the relevant authorities, created a multilateral international legal services co-operation platform, or network then. The platform is formally known as “The Belt and Road Legal Services Cooperation Platform”. 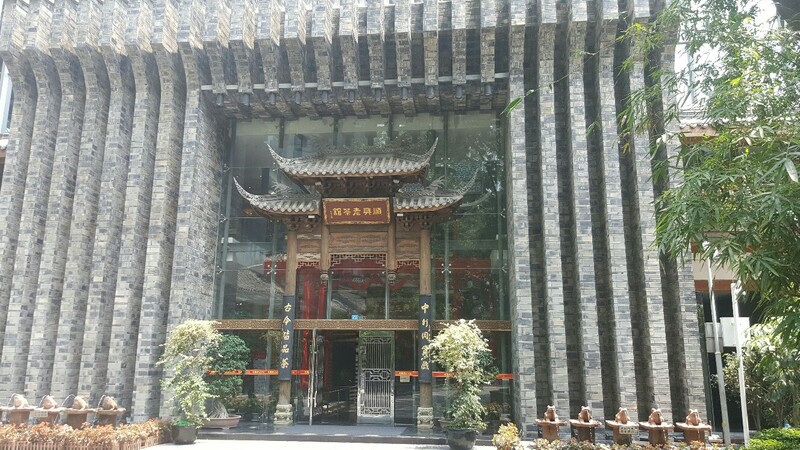 The platform was formally launched on 28 July 2017 in Chengdu, in the Sichuan Province of China. 33 premier law firms signed up to the platform’s constitution as its initial members on 28 July 2017. The law firms are mainly from Asia and Europe. 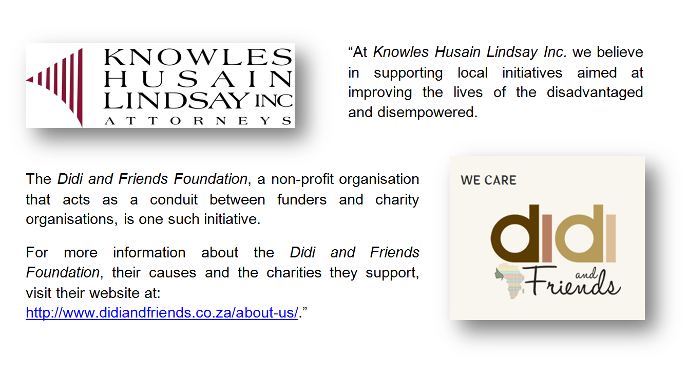 However, Knowles Husain Lindsay Inc. is very honoured and excited that it was invited to, and did, sign up the platform. 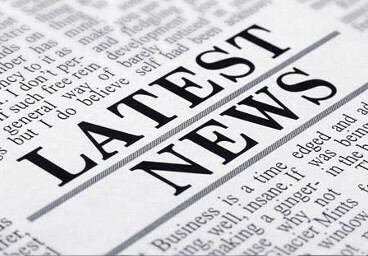 We are the only firm in Africa that was invited to become a member of the platform. The platform will be much more than just the traditional law firm referral network. Quality assurance and good client care are obviously non-negotiable principles of the platform. But the platform also seeks to bring about on-going jurisdictionally relevant information exchanges, mutual professional development, new arbitration rules and forums, cultural exchanges and value-adding person-for-person professional exchanges. 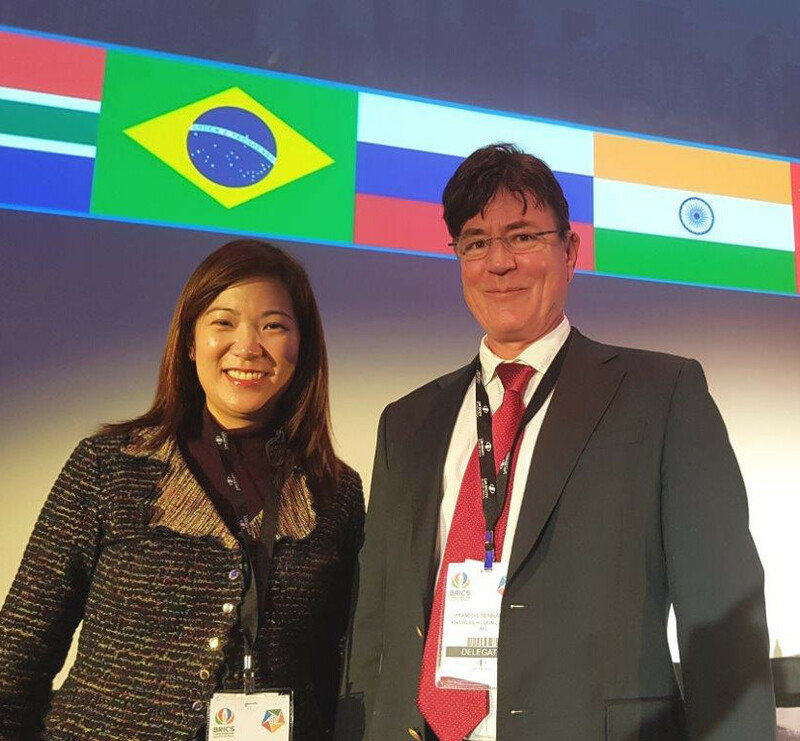 KHL was represented at the launch of the platform by Francois Terblanche, the head of our corporate and commercial department, and by Kai-Lie Chen, our special consultant. We are very excited, but also deeply honoured, to be a member of this new and dynamic platform. We look forward to playing our full part in its activities and initiatives. © Knowles Husain Lindsay. All rights reserved.